The NA family of single and double end lacing machines all have a mechanical cam operated drive system to keep a perfect phasing of the needle movement during the lacing cycle. All machines provide a high quality diamond stitch pattern with adjustable string tension control. 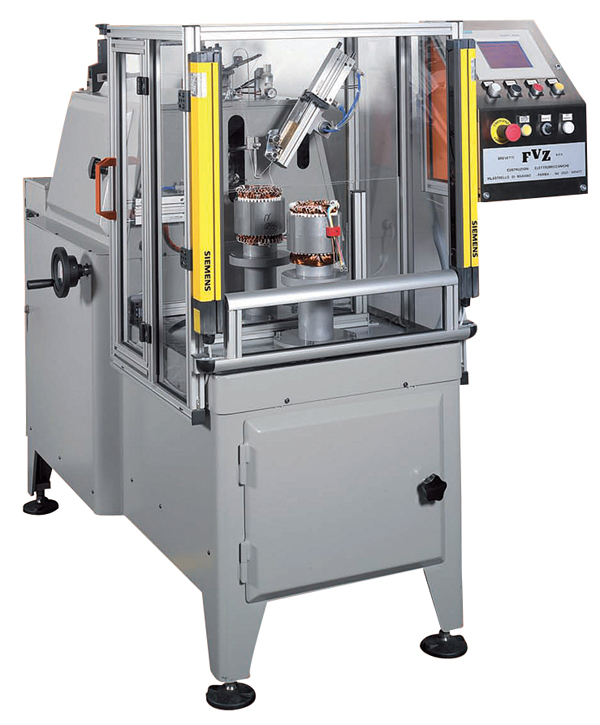 Each machine is PLC controlled with an inverter drive and can be fully programmed to suit different stator slot configurations up to 72 slots. Stator support tooling is very quick to changeover between different stator laminations and stack heights. A wide range of standard lacing needles are available.